Our development team organised a very ambitious programme for primary and secondary pupils, young leaders, community groups and teachers that engaged with a total of 5065 children and young people; and 92 teachers under the umbrella of the Shuttle Time Big Hit. 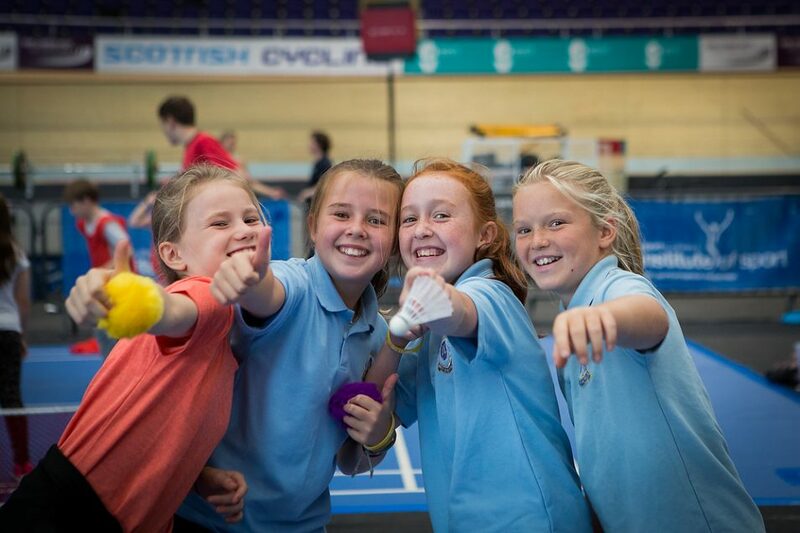 The following paragraphs outline our programme and its perceived impact on the development of junior badminton in Scotland. We organised 10 Big Hit primary school festivals from Monday-Friday of the event, at which we had 2400 primary children from 53 schools participating in the activities. 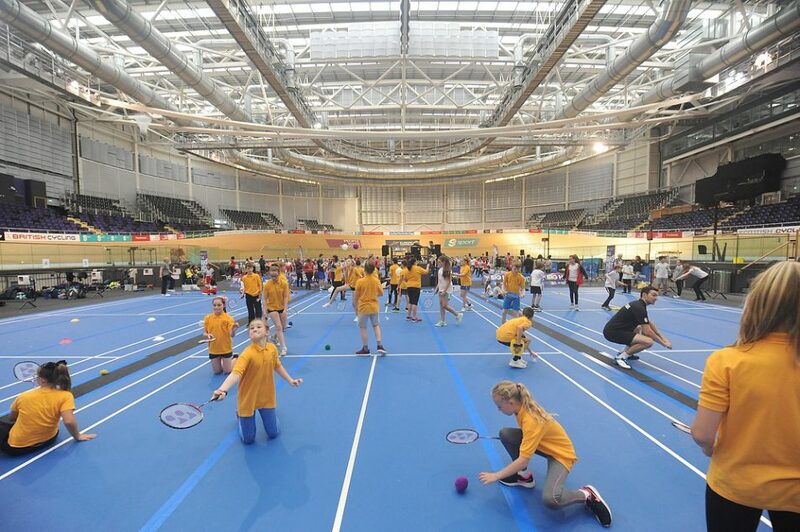 These primary pupils also engaged with our Nettie Challenge in the concourse/marquee areas; watched the Championships and each took home a free badminton racket. 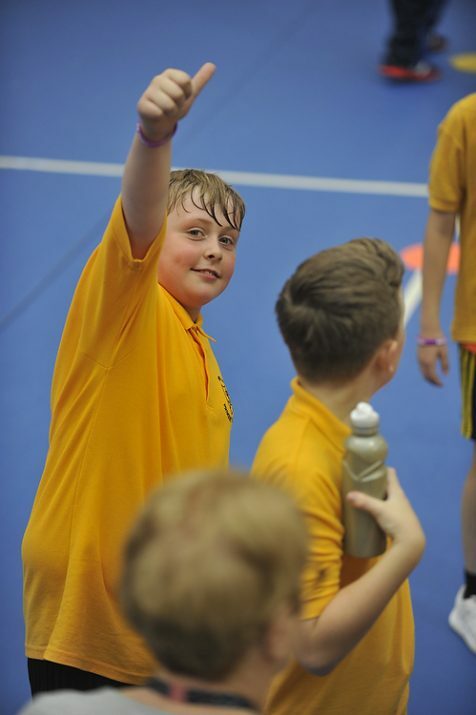 In addition to the Big Hits we offered secondary school coaching sessions and match analysis sessions that were enjoyed by 795 pupils from 36 schools. Further to this, we offered community sessions to targeted groups and a spectator engagement activity to community groups as part of our Legacy Plan – in total we had 1750 participants in these sessions. 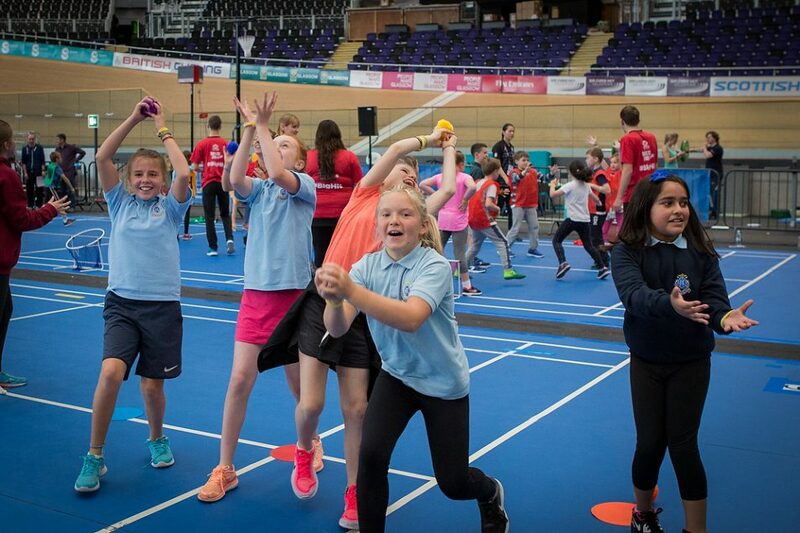 Over the past year we have trained over 700 Young Leaders through our newly developed Young Leader course as part of the World Championships’ Legacy Plan. 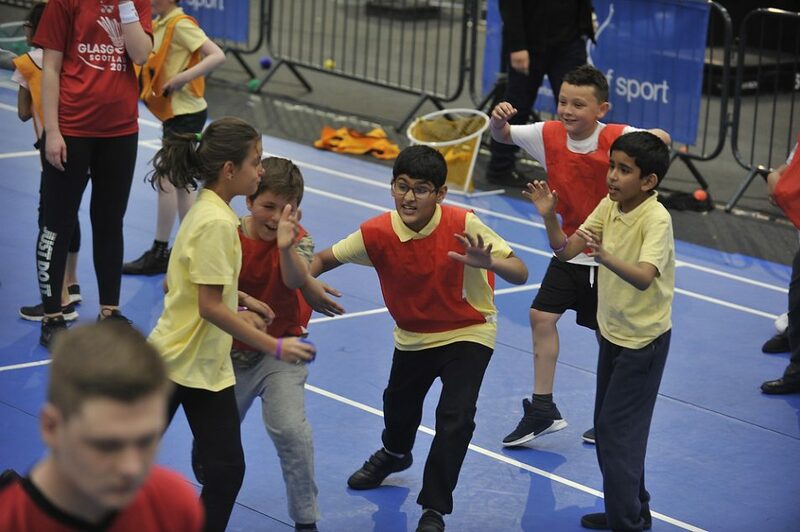 The training sessions taught the Young Leaders how to engage with primary children; lead safe activities; competition formats; officiating; and Big Hit training. 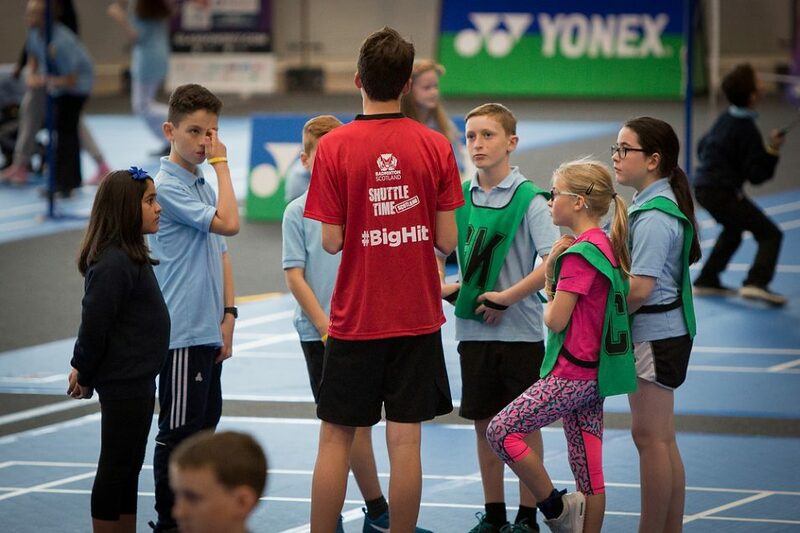 All Young Leader courses are followed by a Big Hit for their local primary schools or groups where the leaders are given the opportunity to lead and assist in the organisation of the Big Hits. Our Regional Development Officers each selected their best Young Leaders who had completed the 6-hour Young Leader course and had assisted at local Big Hit festivals. This gave us a total of 120 Young Leaders for the World Championships, split into five teams. Each of these teams were provided with additional training specifically for the event in their own area, followed by a Young Leader orientation day where all 120 Young Leaders were brought together for the day to interact with each other through fun activities, and to receive event and venue-specific training. 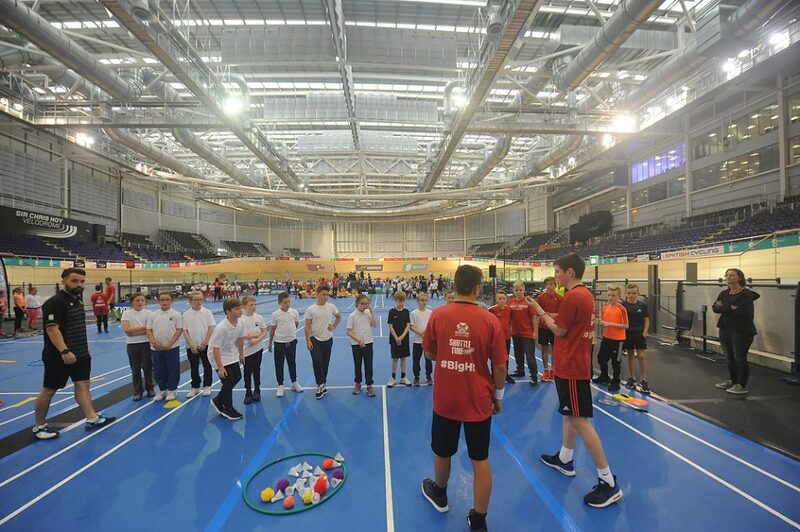 By using Young Leaders we are engaging with secondary school pupils through badminton and giving them skills and experience to work with primary children. This enables the Young Leaders to experience leading and organising activities and experience volunteering at local and major events which will hopefully motivate them to volunteer in other capacities, thus expanding our own volunteer base. As a result of this programme and our general young volunteer programme we have over 200 new young volunteers on our database. The drawback of using Young Leaders for the Big Hits is that their knowledge of the sport may not be as great as that of a coach and so they may lack the technical knowledge. They may also find it more difficult to monitor and lead a large group of children and these issues were considered at the time of planning. During the event we had twelve coaches working with us to act as mentors to our Young Leaders. We carefully placed our coach mentors to ensure that more experienced coaches straddled courts in which the activities were more complex; and these more experienced coaches were also able to offer help to the less experienced coach mentors. Additionally, each session was overseen by our Regional Development Officers and also by a small team of PE teachers to ensure that the activities were safe and active. 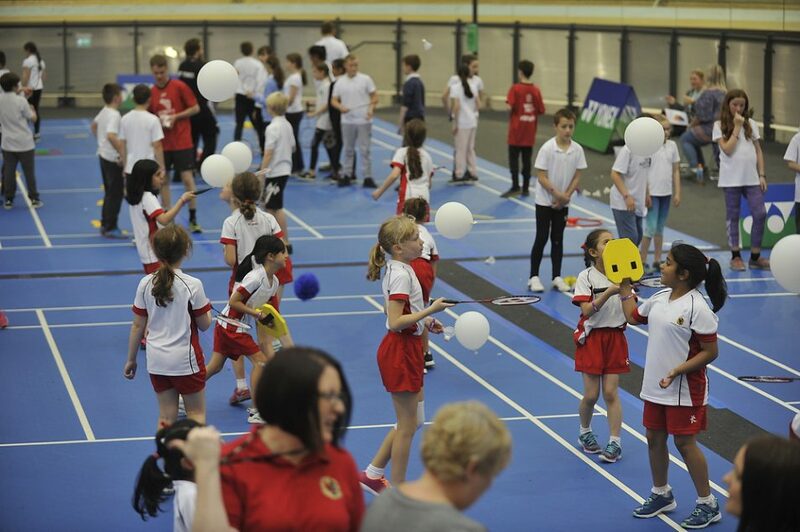 One of the aims of the Big Hit is to demonstrate to teachers that it is possible to organise safe, active and meaningful activities for an entire primary school class on one badminton court, in order that the teachers are more confident about using badminton as the context for learning within physical education. 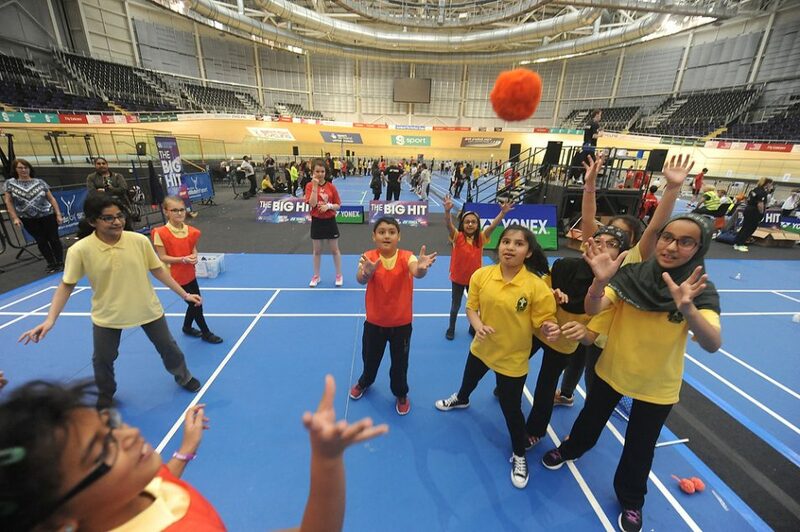 The test Big hit festival in 2016 consisted of ten activities which we reviewed and subsequently reduced to five for the 2016 Scottish Open Grand Prix. 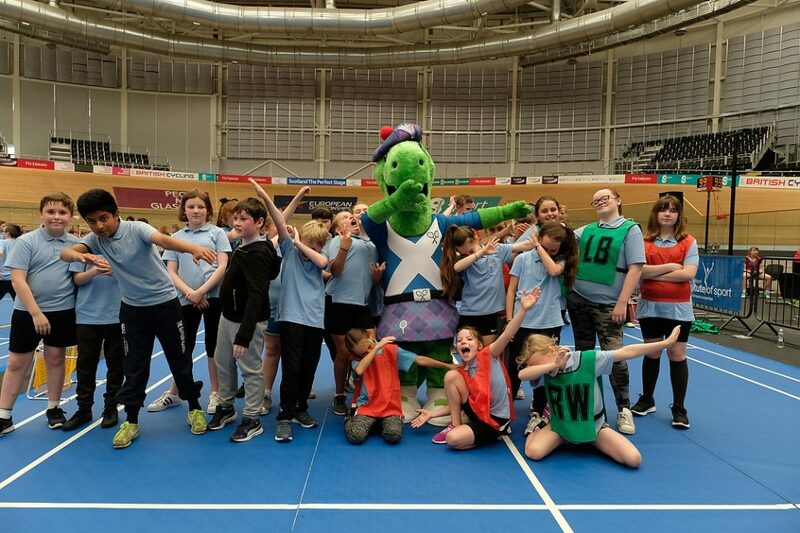 The feedback we received from staff and partners was that the games were enjoyable but to have more activities and less time spent on them would better keep the children engaged. We therefore adapted and developed five more activities from Shuttle Time to use at the World Championships. 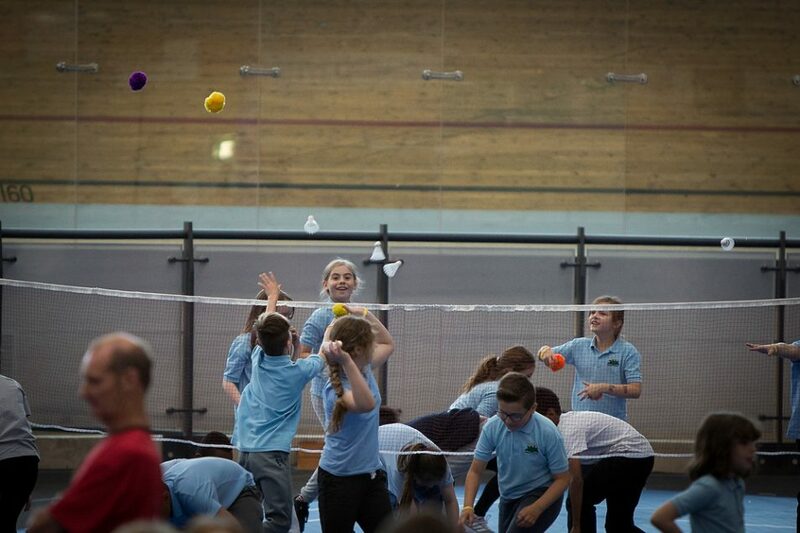 The activities were well received by the pupils as they were all active and they enjoyed the variation of each game. Due to the high activity level the pupils may have benefitted from a longer break at each activity rotation and this is something we will consider for future Big Hits. The number of pupils on each court worked well and achieved its aim of demonstrating that a whole class can work safely and actively at once. 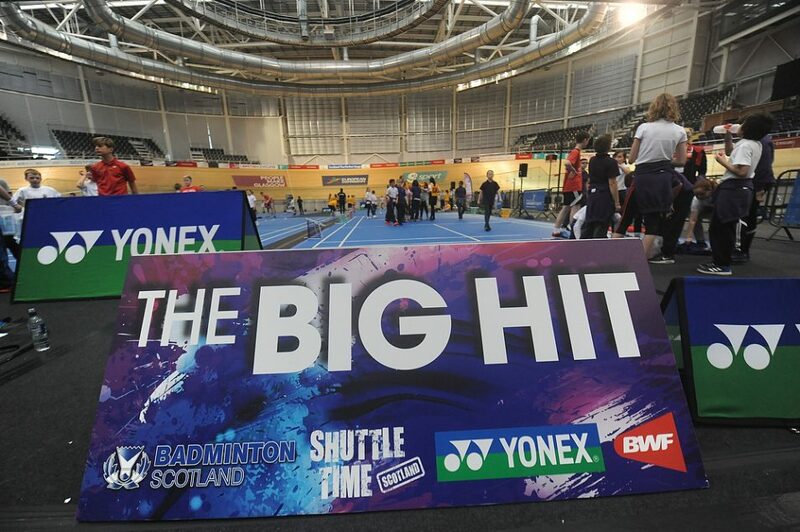 The perceived impact of combining the BWF Shuttle Time programme with the Badminton Scotland Big Hit programme, on badminton-specific development. The BWF Shuttle Time programme currently has 92 free instructional videos and 22 teacher lesson plans enabling juniors throughout the world to watch/download this excellent knowledge base of shots and training giving them the opportunity to develop as young players. 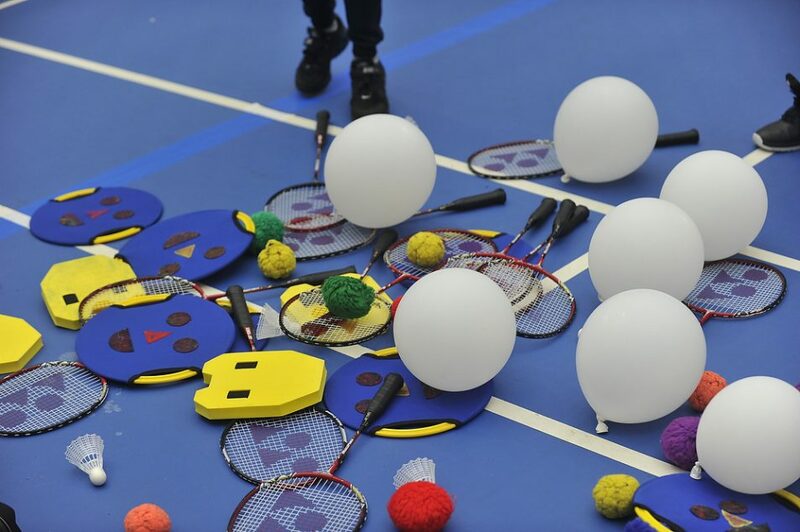 The lesson plans assist teachers, with little or no knowledge of badminton to be able to plan and deliver sessions in a gym hall. 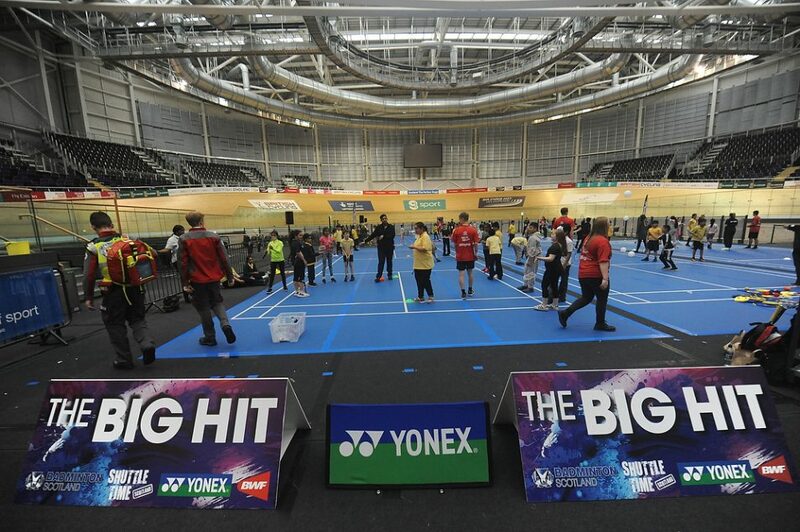 The Badminton Scotland Big Hit programme delivers the actual live demonstration sessions to hundreds of children at a time while giving Young Leaders the skills to deliver and promote the game in their own area. 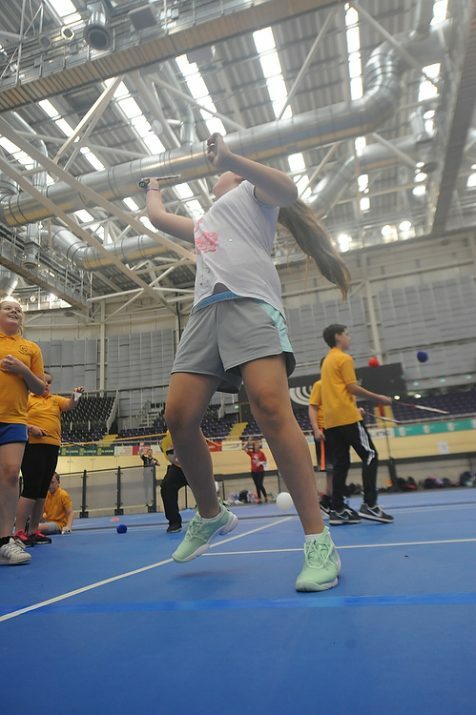 Additionally, the teachers are able to see this working in a live situation while taking away sessions plans made by Badminton Scotland which builds their confidence to deliver badminton in their school halls. 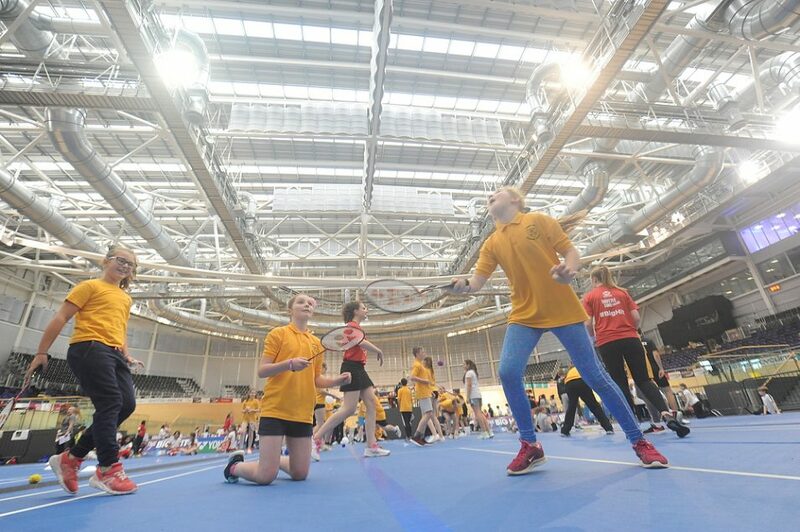 Additionally, each pupil who attended the festival received a free badminton racket to take home. 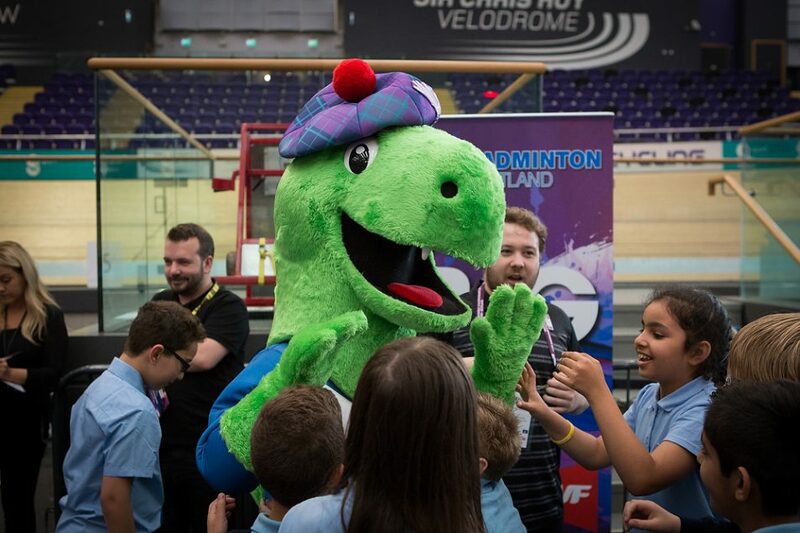 By combining both the BWF programme and the Badminton Scotland programme it is hoped that young children given this expert knowledge will be able to enjoy fun filled sessions provided by confident leaders/teachers and be able to grow and develop into better young badminton players who are encouraged to take their development of the sport further. Career long professional learning (CLPL) sessions were offered to all staff attending the Big Hit Festivals during the World Championships. 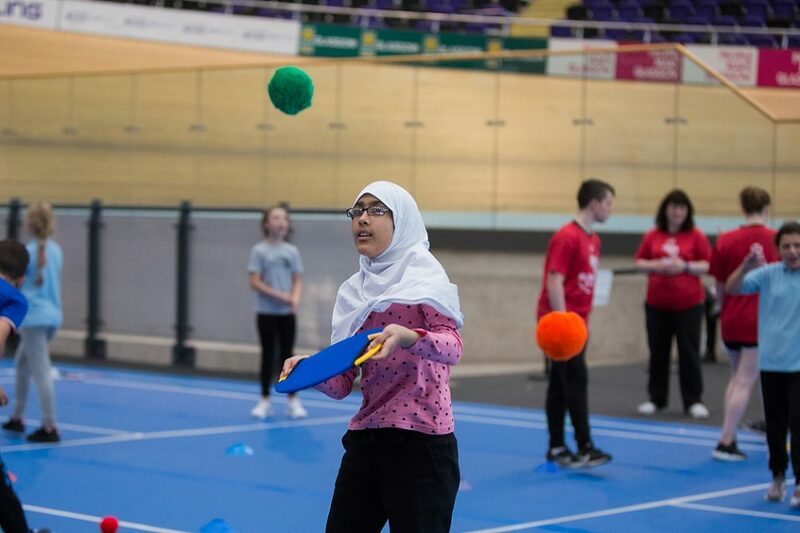 The sessions were planned and facilitated by two lecturers in Primary Physical Education from the University of Glasgow, and a professor of physical activity at the University of Edinburgh. These CLPL sessions took the form of observations and discussions and offered the teachers and support staff the opportunity to focus on important aspects of effective learning for their pupils and to reflect on their own teaching. A supporting resource booklet was developed and trialled over the year prior to the event. Each of the pupil activities was outlined in the booklet and was accompanied by questions designed to provide a focus for staff observations and the follow-up discussion. Being engaged in CLPL which involved observation of their pupils allowed staff to deepen their understanding of their pupils as learners. The timing of the session at the start of the new school year made this an especially valuable experience for teachers with new classes. The resource booklet included descriptions of the activities which could be used in curricular physical education and school clubs. Some participants indicated that they would be starting up clubs as a result of their experience of the festival and the CLPL. 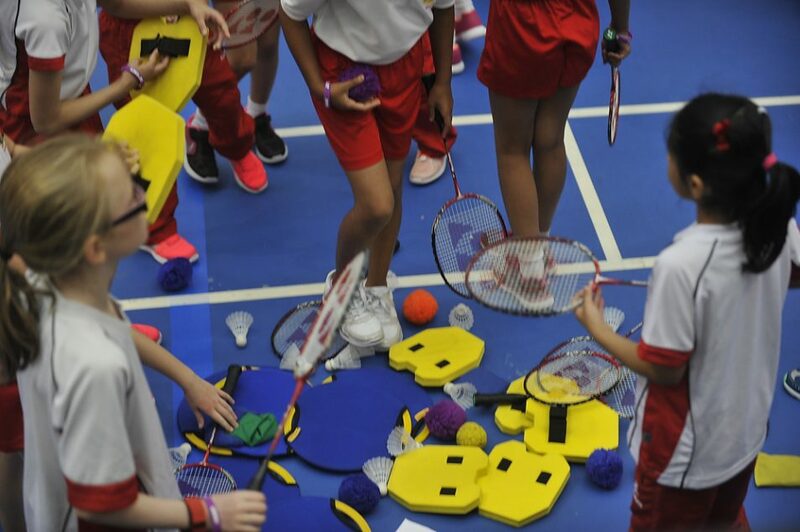 The provision of free badminton rackets for the pupils was a very positive initiative as staff acknowledged that this would facilitate the setting up of clubs for the pupils back at school. The resource booklet was viewed by staff as a valuable resource for sharing their learning with colleagues and many participants planned to deliver CLPL sessions on badminton back in school. We now have a database of all schools that attended the Shuttle Time Big Hit programme and, as part of our commitment to the Legacy Plan we intend to offer follow-up support in the form of online resources, continuing teacher development courses and support for active schools’ coordinators to establish after-school clubs and links to community clubs. We also have over 700 young people registered as Young Leaders which gives local areas a tremendous opportunity to organise their own Big Hits. We plan to continue to grow this particular programme as part of our on-going development programme and this will be incorporated into the development plan. This has already been recognised by Sports Leaders UK as an example of good practice.